With direct access to all terminals, Fort Lauderdale International airport's multi-level Garage Complex has 11 entrances with over 12,000. spaces. Hourly parking is $1.00 per 20 Minutes, With a daily maximum rate of $36.00 daily. Call (954) 359-0200 for more info. Follow the signs to Hourly and Daily parking. Note: Motorists picking up and dropping off passengers are encouraged to use Hourly parking which is $1.00 per 20 Minutes. Do not park overnight in Hourly Parking. With direct access to all terminals, Fort Lauderdale International airport's multi-level parking garage complex has 11 entrances with over 12,000. parking spaces. Hourly parking is $1.00 per 20 Minutes, with a daily maximum rate of $36.00 daily. Please Call (954) 359-0200. Follow the signs to Hourly and Daily parking. Note: Motorists picking up and dropping off passengers are encouraged to use Hourly parking which is $1.00 per 20 Minutes. Do not park overnight in Hourly Parking. Please Call (954) 359-0200. If you are parking overnight, plan to use Daily Parking, or the Airport Economy Parking. 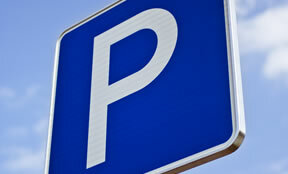 Follow signs to Daily parking and look for signs for Valet/Premier Parking. 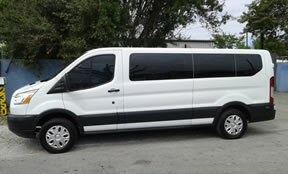 Discount Fort Lauderdale Airport Parking as low as $10 per night. 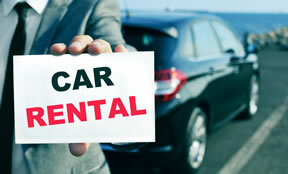 Long term self-parking is available at Airport Economy Parking. Free shuttles to the terminals operate from this lot every 15 minutes, 24 hours a day. Watch for Shuttle stop signs at shelters. Terminal drop-off and pick-up stops are at each terminal building, lower level crosswalk (Baggage Claim). Upon your return, Airport Economy Parking customers can catch the Airport Economy Parking shuttles back to their car at this location. The Fort Lauderdale/Hollywood International Airport has an innovative feature installed for persons with upper body mobility limitations. An ADA Parking Access Feature has been installed at all the parking facilities which allows patrons to access the parking lot without pulling a ticket. Vehicle information is recorded via speaker phone and remote camera and parking charges are calculated upon exiting the parking lot. Designated disabled parking spaces are conveniently located in all parking facilities. Wheelchair access to all terminals is on level 1or level 4 on the west end of the Garage Complex. If you are parking on any other level, take the elevator to level 1 and cross or ride the shuttle to the west end of the Garage Complex. The shuttles operate continuously on level 1. High top van parking is available throughout the Garage Complex. All shuttle buses are wheelchair equipped. © Hosting411.com. All rights reserved.